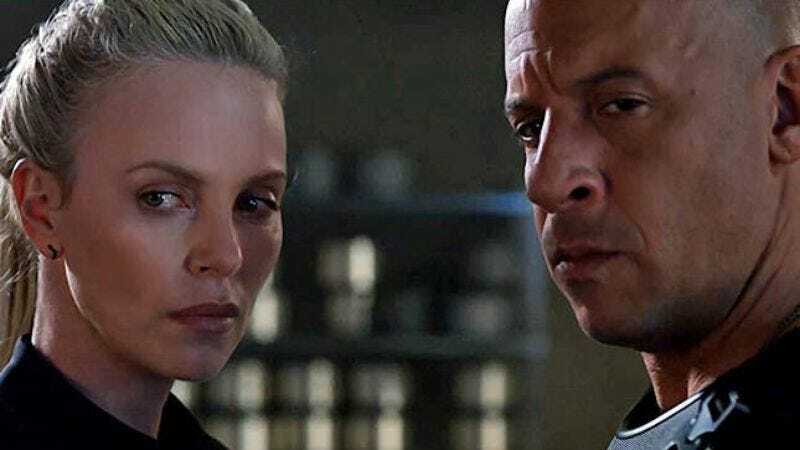 There are new reports that it’ll be a while before we learn The Fate Of The Furious. No, the April 14 release date—which Vin Diesel took care of announcing in addition to a ton of other production news, because he’s vying with Dwayne Johnson to become a one-man studio—hasn’t been pushed back or anything. But CinemaBlend has caught wind of the fact that the film’s runtime is listed as 160 minutes on its IMDB page. Now, that does require a grain of salt, because IMDB pages generally comprise crowdsourced info, and are no strangers to errors. But the Fast And Furious movies have gotten longer the longer the franchise has been around—the first film clocked in at an hour and 47 minutes, which would mean Fate Of The Furious would have that time beat by an hour or so (taking longer to cross the finish line is a good thing in this scenario). We guess longtime Furious scribe Chris Morgan had a lot to unpack in this not-quite-final chapter. That, or he just wanted to make sure it was worth Charlize Theron and Helen Mirren’s time.